Its pretty color screams to be oh so me! 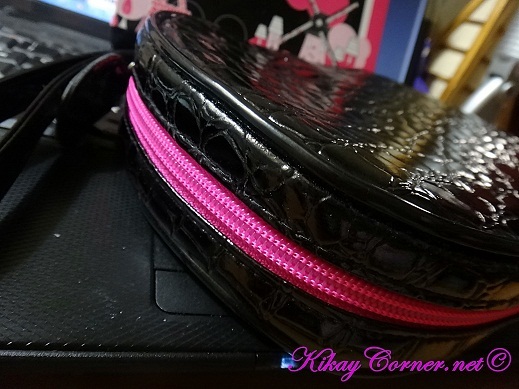 If you haven’t noticed, I have had this hotpink watermark for my photos in this blog and it has been my color since forever! The color itself spells love for me. It was days after Sophie handed me this that I actually got to use them and fell in love with them since. Before I show you the picture of how it looks like nowadays (I’ve practically used and abused the set since I got hold of them), here are photos I took when it was still brand spanking new. 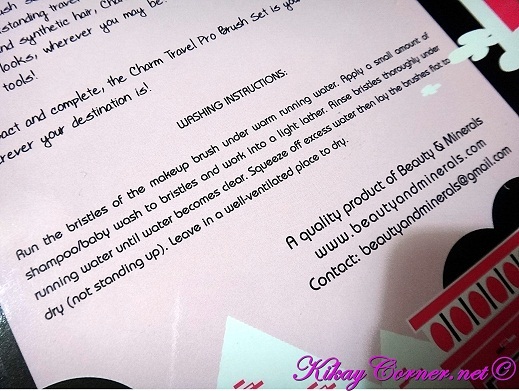 Beauty & Minerals made sure that we’re not just equipped with the right tools, she also provided for us instructions on how to care for those babies. 2. Apply a small amount of shampoo/baby wash to bristles and work into a light lather. 3. Rinse bristles thoroughly under running water until water becomes clear. 4. Squeeze off excess water. 5. Lay the brushes flat to dry (not standing up). 6. Leave in well ventilated place to dry. 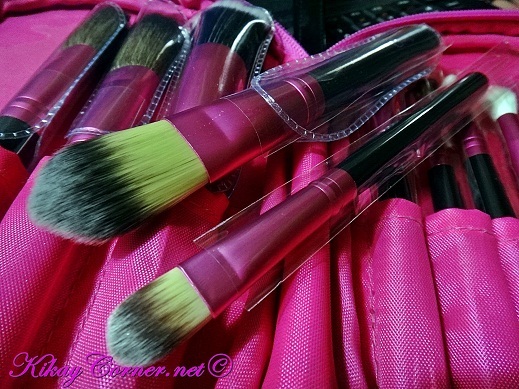 I prefer to use the stippling brush whenever I use BB cream, or any other liquid or cream foundation, for that matter. The coverage might be less intense but it easily gives an airbrushed finish. I have not yet perfected how to use the foundation brush without leaving streaks. So the stippling makeup brush is always my default brush to apply BB cream, for now. 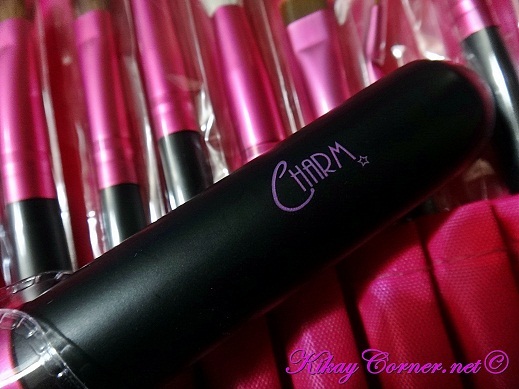 Here’s how my Charm Travel Pro V.3 Makeup Brush Set looks like nowadays when you zip it open. Because I cannot actually take my huge makeup bag to places I go to, I squeeze in my concealer, brow kit creme, contour/highlight kit and eyeshadow quad (under the contour kit). They all fit in! 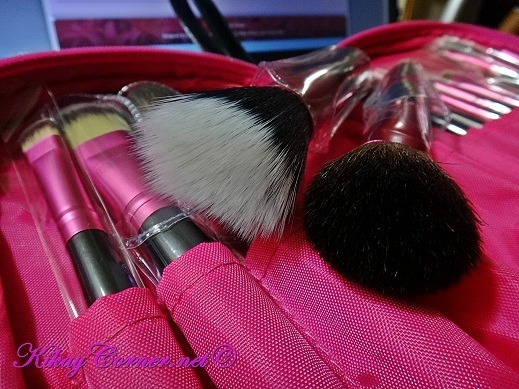 Sorry if I abuse it this way, works for me and I make sure that the makeup brushes aren’t hurt and are all still cozy together. 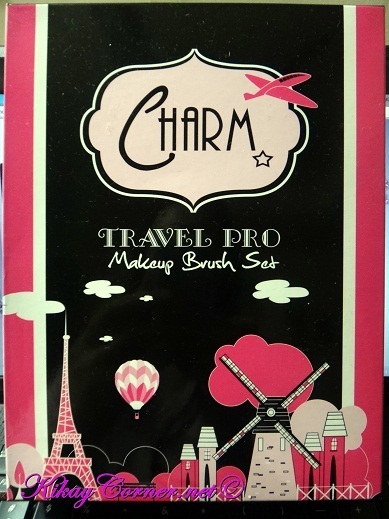 I’m officially charmed by Charm Travel Pro V.3 Makeup Brush Set! I would have taken it to Boracay last week if the trip was not cancelled. It traveled to Tagaytay with me instead and tomorrow before the dawn breaks, it will be with me in Davao! 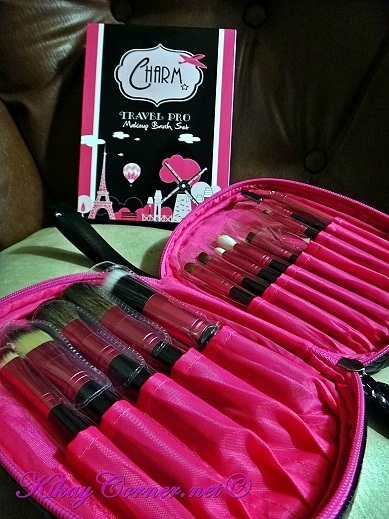 Compact and complete, the Charm Travel Pro Brush Set comes in a very reasonable price of P2,200.00 (Approx. $52), free shipping nationwide for online buyers.